When you have the valuable diving equipment, you need to ensure that they are protected, and purchasing the best dive bag is the way to do this. A good quality dive bag will also protect your gears when you are in the move. But there are a lot of bags in the market. Question is which one is the perfect dive bag for you! Here we have compiled all the information about ten best dive bags you need to choose the best one. The important thing is that not every scuba diver needs the same design bag and even, depending on the type of diving trips you don’t always need the same bag either. There are dive bags for air travel and bags for holding your equipment. Whatever your necessity, here you will find a bag which will fit you the most. Our experts have also discussed the positives and negatives of each product to make it easy to make the decision. Let’s read. If you travel with your dive gears, Akona Duffel Gear Bag will make things so much easier. It is very compact, lightweight and easy to drag around. The gear bag is made with a urethane coated nylon material that seems to be sturdy enough to last. This great dive gear bag can store all of your accessories like computer, octopus, boots, mask, wetsuit, and BC in this little bag with ease. This bag is good for transporting your gear to and from the dive site. The shoulder strap is comfortable. The bag has sturdy mesh and zipper. Lots of room, it is large enough to carry all of your gear. The Large U-shape opening allows you quick and easy packing and unpacking. The Akona Duffel Gear Bag meets most airline carry-on requirements. The bag is easy to roll alongside a suitcase. It will also fit two sets of fins in the side pockets, and two travel BCs. The Akona Duffel Gear Bag also features a locking telescoping handle, durable smooth-glide wheels and mesh interior pockets. The Akona Duffel gear bag weighs less than 7 pounds, and the size is perfect with 20x9x14 inches. Overall, an awesome purchase considering the price and quality. The Maverick is a difference. It is a big, stable, solid, and lightweight. This duffel style bag is constructed with coated 600-D Polyester Fabrics and designed with dive and travel in mind. This bag offers a massive main compartment featuring a large Zippered U-shape Opening for easy packing and unpacking. It has come with Top and Hard-Plastic Bottom Grab Handles to lift the bag comfortably. The reinforced sides and base will provide a stable and stronghold for your valuable equipment. This dive bag features the Buttressed Base Design to support stable standing when you need. The AKONA dive bags also feature heavy-duty replaceable wheels, Stainless Steel Axles, and Telescoping Trolley-Handle. The bag weighs 9 pounds when it is empty. The Maverick measures 14 x 31 x 14 inches with a volume of 99.57 liters. Like all AKONA Bags, this Duffel Bag is covered by a two years limited warranty. 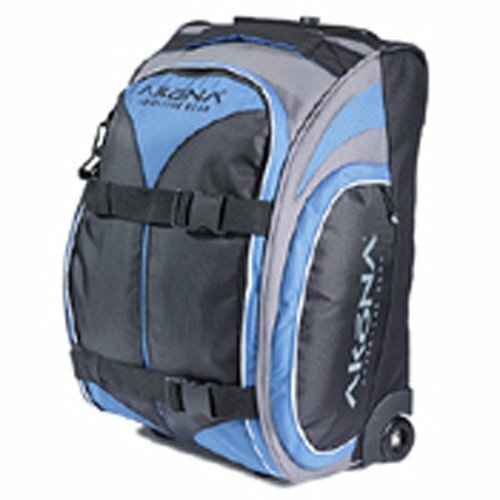 The Akona Roller Dive Gear Backpack is another excellent option for transporting diving equipment. The design and durability of this bag ensure the protection of your precious cargo. This is an ideal choice for any adventurer as it has an extensive internal storage and smaller pockets to organize your equipment neatly. This bag includes a security travel sleeve too. This dive bag is great for travel, will hold all of your gear. 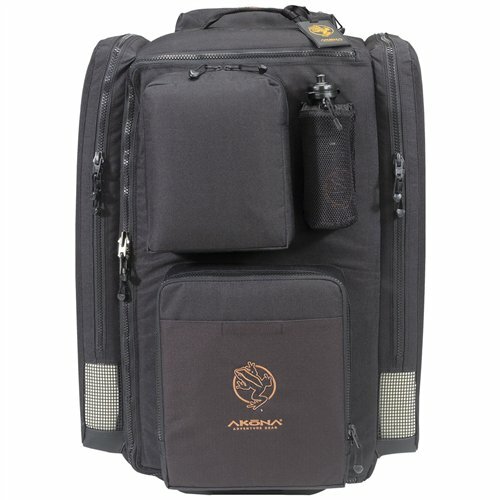 The Akona Roller Dive Gear Backpack features a handle with reinforced stitching for increased durability. It has the heavy-duty slider and pulls rustproof bronze zipper. It has the exterior pocket with locking D-ring, logbook pocket with a convenient key clip. Its mesh paneling allows air circulation. This dive bag also comes with two fin pockets to hold your two separate pairs of fins. 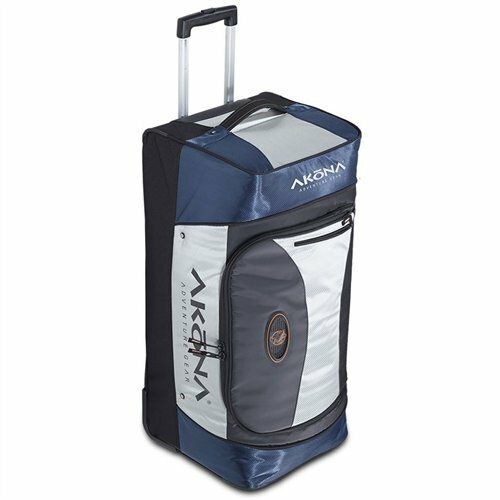 The Roller bag also includes a mesh water bottle holder and Akona padded regulator bag. Maybe this is the bag that you are looking for! It is large enough and comfortable to organize all of your stuff. This dive bag is optimized for travel, and it is made of 600D polyester with double PU coating. This bag features a sophisticated storage that offers simple handling of a full set of equipment. It is easy to access, rinse and dry gears inside the bag. This bag also comes with a detachable strap and includes modular expansion. To create a lower profile and to prevent excessive strain on the zippers, it has two external compression straps. Inside the bag compartment, four mesh pockets provide organization of your several accessories. Its ventilation system allows for drying of your wet equipment. Maneuvering the bag is effortless because it comes with the telescoping handle and the wheels provide greater stability. Mares Cruise System Dive Bag is perfect in size: 51x31x79 cm and weighs about 13.2 pounds. To store neatly and to transport easily transportation all of your equipment the Cruise System is the ultimate travel ‘system’. To keep your diving gear safe on the road, you need this dive bag! This dive bag is made of 420D Nylon NT and 450D Ripstop fabric for long-lasting durability. The Scubapro XP Pack Duo Roller Bag is huge and amazingly light. This bag would be a suitable replacement for your old one with much bigger space and more compartments. You can use the upper section to store wetsuits/clothing. 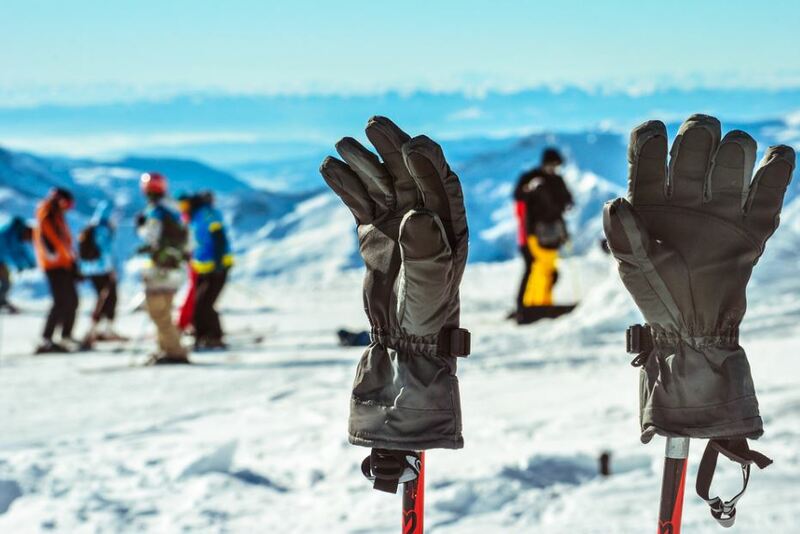 The main compartment comes with two side zipper pockets and able to carry two sets of fins, jackets, goggles, including all of your accessories. You will have enough room for storage, and the extra two built-in mesh pockets will keep it all organized. It is simple, lightweight, and features a solid telescopic tow handle. It has one small front pocket basically for standard gear. The key feature of this dive bag is the weight, and it is light. 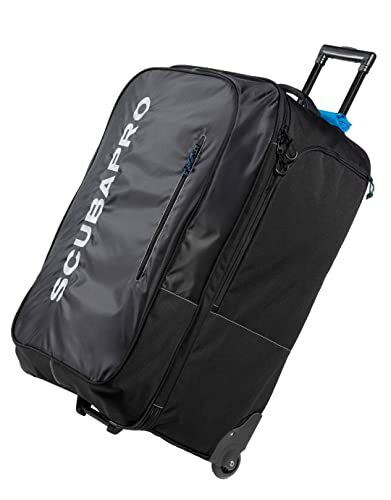 The Scubapro XP Pack Duo Roller Bag measures 31x19x17 inches is a perfect size. Whether you are thinking for a weekend trip or an extended tour out of the country, the Medium Roller Bag by Tusa is to suit your needs. The roller bags by Tusa are manufactured with strong and durable nylon fabric for all types of travel. 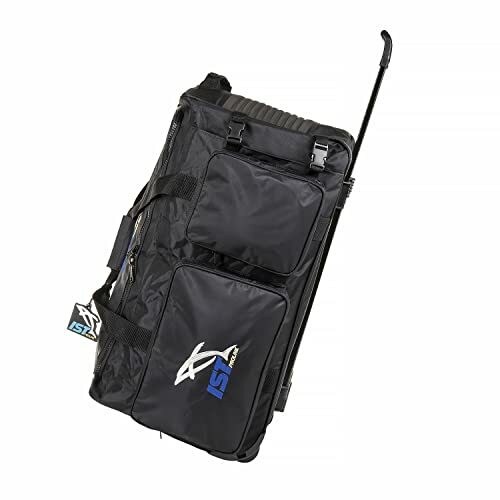 This Roller Bag is the perfect dive bag to meet airline weight requirements. 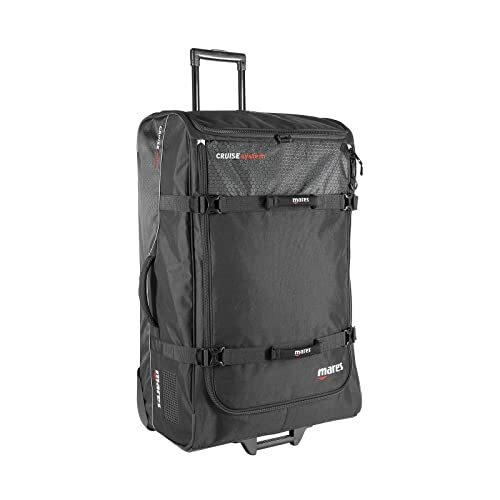 This large capacity bag with 100 liters not only carries all your gear and then some. One of the incredible features of the bag is the quality of the wheels and zippers. Its smooth gliding wheels and heavy-duty reinforced telescopic pull handle offer you to maneuver effortlessly through busy airports, train or bus terminals. This sleek black dive bag is an ideal option for carrying your full set of equipment. The outer front dual slider zippered section carries items you need handy when on the fly. The large main compartment with two internal zippered pockets will hold your gears organized throughout your adventure. This generous size dive bag also comes with four compression straps and 2 carry handles. This excellent dive bag weighs about 6.65 pounds only. 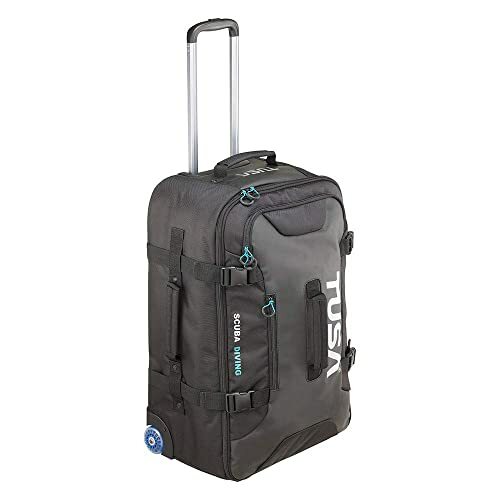 Overall, TUSA’s medium roller bag is an excellent travel companion. Now you can travel with all of your gears in one compact bag. The convenient design doubles as a duffel bag and a roller backpack. It includes straps for carrying by hand too. It also has a retractable handle for traveling with heavier items. The IST Heavy Duty Dive Roller Bag is an ideal dive gear bag, made especially with scuba divers in mind. It has a large spacious main compartment which is roomy enough to carry you diving gear sets. It also features a specially-designed fin pocket to store your fins. The three front zipper pockets are perfect for carrying smaller items like flashlights, clips & masks. The IST Heavy Duty Dive Roller Bag is constructed of heavy-duty 840 denier nylon for durability & performance. The main section has enough room to carry two sets of adult scuba gear. It also features durable wheels. The size is perfect; measures 29 x 14 x 16 inches. Overall, to keep your dive gear safe and secure, it will be a great purchase. Duffel Bags feature simple construction and come in many styles and sizes. Some duffel style bags also come with wheels for easy transportation. They are roomy featuring large compartment where you can stuff all your necessary gear into. The downside is they may get heavy with full of gears. This style of bag is more comfortable than a duffle type bag. This type of bag distributes weight evenly over your shoulders and keeps your hands free for other purposes. It comes in different styles and sizes and also with wheels. This type usually has side pockets for storage and offers a better organization. But the downside is; it can be more expensive. And if you travel with full dive gear, you may get heavy on back. These types of scuba diving bags are a hybrid of the above mentioned two types of bags. They feature wheels to make it very easy to move with heavy dive equipment in it. This style is very versatile and available in a countless number of configurations. Using them as a backpack adds extra weight as they come with wheels. This type of gear bags is for carrying sensitive and valuable equipment like cameras, laptops, etc. The hard case dive bags can a lot of abuse. They are well protected and safe. But they are heavier, expensive and they don’t have extra room. Your dive gear bag should carry a lot of weight around. For this, you need to choose one that is manufactured with heavy-duty material and having reinforced stitching. The stitching, straps, and zippers should be made of sturdy material too. Material that is waterproof would be a plus point. Like the material, the straps should be heavy duty material with reinforced stitching. As they take a big load when packed. Maybe you want to buy the biggest size, that may not be a good choice. If you carry a large scuba diving bag full of equipment and other essential accessories, it could easily exceed the weight limit of many airlines. Besides, weight is also an important consideration. You surely do not want to carry extra weight. So don’t buy a huge dive bag unless you are willing to pay extra. Always try to prefer for a lightweight and simple bag that meets your need. Zippers are an essential feature of a dive bag. Zippers should also be corrosion resistant. The regular type of zipper will rust, split or stop working. When purchasing, make sure the zippers are high quality because effects of salt water are not pleasant! Wheels make it much easier to drag your gear around. Dive Bags with four wheels would be an ideal choice as it is easier to stand up and operate. An excellent diving bag will protect and keep your equipment organized. A well-constructed gear bag also allows you to travel with your gear. It will also keep everything safe as you sit back on an airplane or as you go out for a wild adventure. We think that this list has the best dive bags for every occasion. As our experts have spent hours and hours to bring you the right information about the best dive bags available. Now, it is your turn!